How Do You File a Complaint With OSHA for Hazards at Your Job? You have a right under federal law to file a complaint against your employer if you believe a serious safety hazard exists at your workplace or your employer is violating Occupational Safety and Health Administration (OSHA) standards. You do not need to know which specific OSHA regulation or standard is being violated to file a complaint. However, you want to file your complaint as soon as possible after noticing the hazardous condition or noncompliance because OSHA can only issue a citation for a condition that has existed within six months of your complaint. While you have a right to file a complaint, there are practical concerns as well. You should not make a decision to file one lightly. Just like it is illegal to retaliate against you for filing a workers’ compensation claim, your employer is prohibited from retaliating against you for filing an OSHA complaint. However, retaliatory acts still happen and you could spend years battling your employer. You want to be certain that your complaint is worth these possible consequences. Where Do You File a Complaint? Before filing your complaint, you should talk to your union representative if you are a part of a union. He may be able to help you resolve your complaint informally, help you file your complaint, and possibly protect you from retaliation. If you are not a member of a union, you may want to discuss your complaint with at least one other employee and try to file the complaint on behalf of more employees than yourself. It is also a good idea to discuss your complaint with an experienced attorney before taking this important step. You will need to file your complaint with the regional office for your area that has authority over your employer’s workplace. If you do not know the location of the office, you can call OSHA at 1-800-321-OSHA or check the location of Regional and Area Offices on OSHA’s website. If you file your complaint in the wrong office, OSHA will send it to the proper one for you. How Do You File Your Complaint With OSHA? Online. If you file the complaint online, it will be forwarded to the appropriate office. Mail/Fax. You can mail or fax your complaint to your Area or Regional Office. Telephone. You can file your complaint by telephone. If there is an emergency or the hazard is currently life-threatening, you should call your Area or Regional Office or OSHA’s telephone number listed above. When you file your complaint, you can do so anonymously or you can ask the OSHA representative not to disclose your name to your employer. However, some employers have discovered the name of the employer who filed the complaint even when OSHA was instructed not to reveal this information. How Will OSHA Respond to Your Complaint? Who filed it. OSHA will give greater weight to a complaint if an employee rather than a passerby filed it. If you file your complaint anonymously, it will be treated as if a third party filed it—with less consideration given to it. What it alleges. A complaint that alleges a life-threatening hazard or another serious condition will be given more consideration than a record-keeping violation. OSHA divides its complaints into two categories: inspection complaints and investigation complaints. An inspection complaint is one where an OSHA official will inspect your workplace. If your complaint is classified as an investigation complaint, an OSHA official will contact your employer over the telephone to discuss the violation and to request that the violation be corrected. 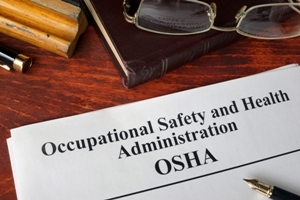 Are you considering filing a complaint with OSHA? Is your employer retaliating against you for filing a complaint? Fill out our online form or call us today to learn about your rights under New Jersey and federal laws.